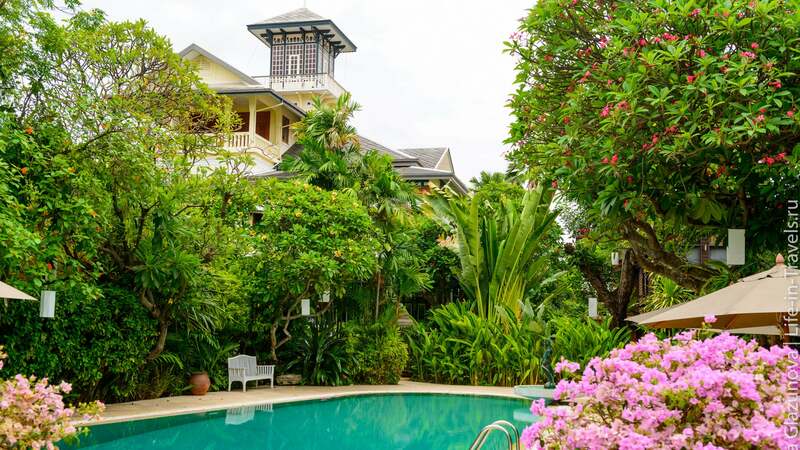 Chakrabongse Villas & Residences is a verdant getaway nestled in the heart of old town, just steps away from the Grand Palace and Temple of the Emerald Buddha. In 1908, Prince Chakrabongse Bhuvanath built a private villa on the eastern bank of Chao Phraya River as a retreat away from palace life. The villa has since been handed down to his descendants and today rests in the hands of his granddaughter, Khunying Narisa Chakrabongse. 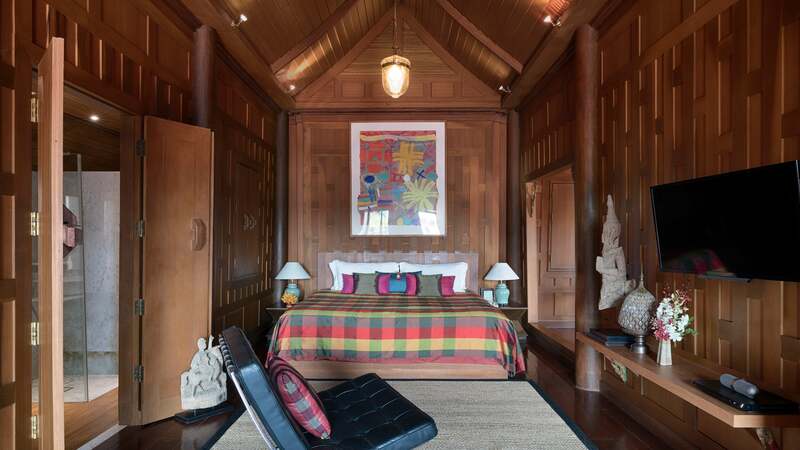 Under her guidance and influenced by her passions, the villa has turned into historical gem that allows guests to experience a way of life that has disappeared from view of modern Thai society. 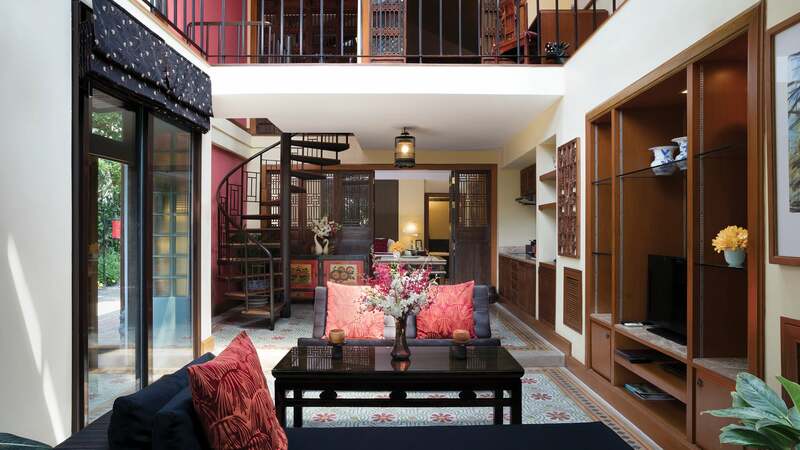 Chakrabongse Villas & Residences beckons all to come stay a little while and enjoy its tranquil and cultural aspects and explore the historical old city. Chakrabongse Villas & Residences is comprised of several intimate low-rise structures scattered in a large lush garden. 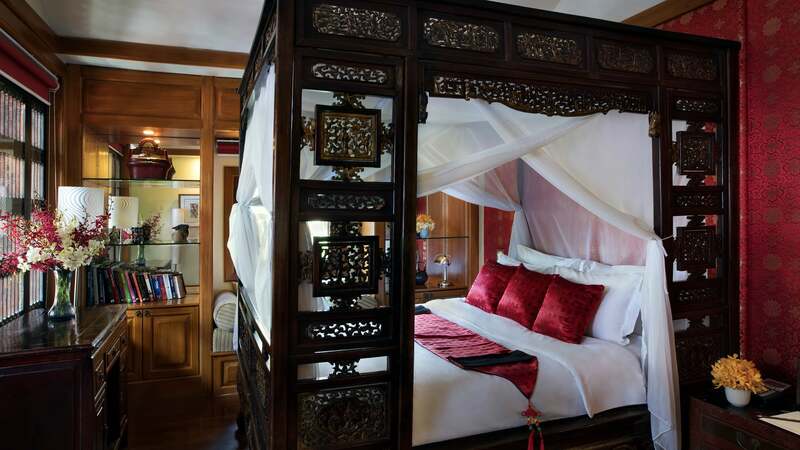 The buildings contain unique suites designed to display several cultures including Chinese, Thai, and Moroccan and are decorated with carefully curated pieces. Depending on the suite’s location, each has its own unique view of the garden, pool, river, or a combination of the three. 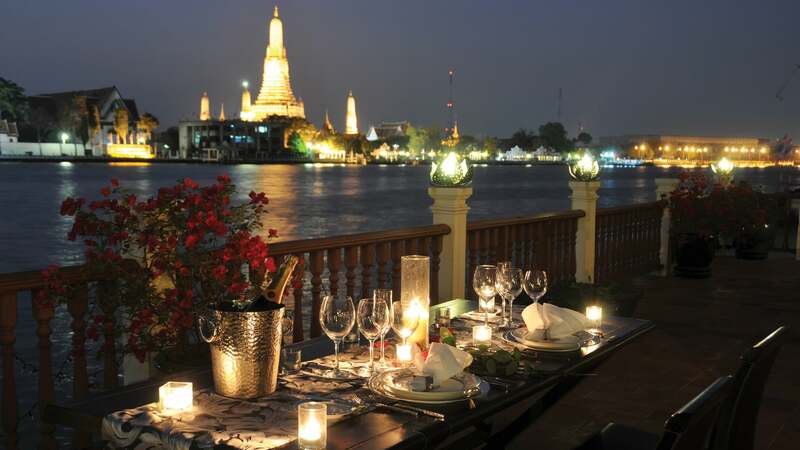 The restaurant terrace is directly next the river and serves a unique set menu that draws inspiration from the Royal Thai Cuisine each day of the week. While immersed in the serenity of Chakrabongse Villas & Residences, one can begin to understand Khunying Narisa’s several passions. The wondrous tropical green garden that interweaves between the buildings is a testament to her interest in the environment. River Books Shop, located on the street facing section of the villas, shows her devotion to the writing arts. 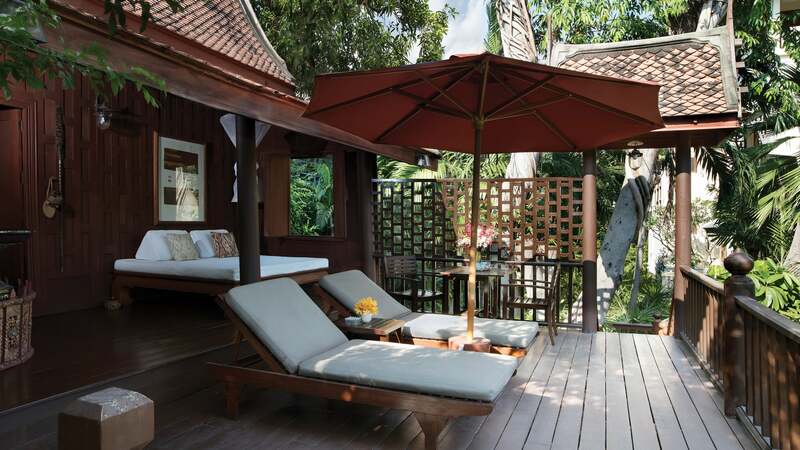 Guests can spend a day enjoying the flora while poring over books, many of which are aptly on Thai culture and history. Should one wish to understand the Thai capital’s story and way of life better, a private boat ride along the river and canals can be arranged by the staff.